How to choose the right length and number of strands for hair extensions. Before the hair extension process, you must decide on the length. This will determine the cost of service. It is important to choose the right length and number of strands, as this will also determine your future hairstyle. The common recommendation for choosing the right hair length is that the length of your extended hair should not be more than twice your initial length. If you’ve never had hair extensions before, we suggest you stop at the length of 16-20 inches (40-50cm), or roughly to your shoulder blades or elbows. This is because it looks more natural when your hair reaches your shoulder blades or elbows. In addition, the longer the hair, the more laborious it is to take care of it. Besides, hair longer than 24 inches (60cm) makes your everyday life uneasy. Note that each length will look different depending on your height. Another important issue, other than choosing the length, is choosing the right number of strands required for the hair extension process. The end result depends on this particular choice. 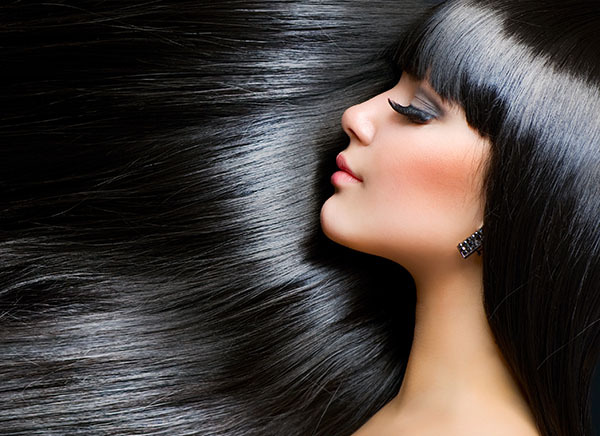 Hair with average thickness requires between 100-125 strands. If your hair is very thick, you will need between 175-200 strands. In order to make your hairstyle look more natural, we suggest you do not use more hair strands than necessary. A short haircut requires at least 100 strands in order to add thickness. If you want to add more volume, rather than length, 75 strands will suffice. Extended hair looks different on every girl, as it depends on the hairstyle and the shape of the head and face. Moreover, the thickness of the strands depends on the manufacturer. It is important to note that the number of strands in every situation is determined directly during the consultation and depends on the condition, thickness, and the desired result of the hair. This is the rough estimate of the required number of strands. A more precise number can be determined during the consultation.